Now we got it the long awaited POC XXL. We wait for your comments in the forum section. POC XXL has some nice features, as multiple freights, independant destinations, and you can change speed and destination while the ship is on the way. More harbours, More ships and more freights (passenger are possible, something also in the real cargo shiping and we have passenger ships also), and tankers and of course more players (8). Now the network support is implemented for LAN Networks. And the stockmarket is available also. LANGUAGES of the game (some are partially translated): German, English, Français, Dutch, Norsk, Swedish, Daenish, Italien, Español, Türkçe, Hrvatski, Faroese, Finnish, Polish. New is the support for User ADDON on ship, harbors and goods. 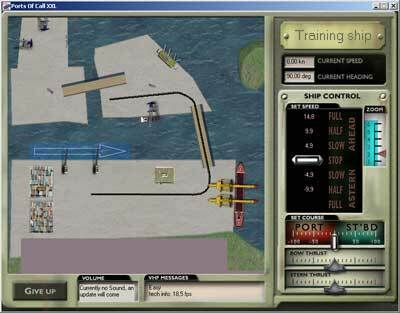 POC XXL can call POC Sim3d for harbours and events to play in 3D, you need a Platinum License for this feature. Platinum Licenses are valid for all POC Versions that is all updates and release versions !! Please help us by buying a license to have an ongoing POC XXL development - we will add user wishes (see forum) also, this is the first know (by us) game like this with so much user influence. **** The Platinum License is valid for all POC Versions also for future updates and releases **** !! POC XXL will have an online possibility and then you can enter the values in a highscore list here on this homepage. We really got a lot of feedback of ideas for poc, but you still can add ideas for next updates: write to poc@rdklein.de or better use the forum. As many poc users requested we have opened now a forum for discussions. 300 MHz processor should be ok, DirectX 8 (3 for NT) or higher recommened. Use the latest graphic drivers - this is very important ! please send us reports on both working and non working systems! We want to build a list and we try to help. POC XXL does not require a fast processor as POC Sim 3D does, there are only some 3D elements, but that's what we want to know also out of the beta test. [1.0.13] The waterline now depends on the current load of a ship. Heavy loaded ships are displayed deeper in the water, when departing or in the worldmap. [1.0.11] expiration date set now updated to almost unlimited use. 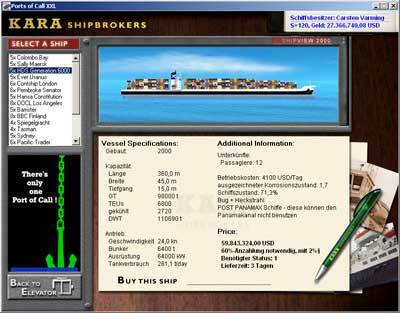 [1.0.7] dynamic user addons for more ships, harbours and goods, several display enhancements. [1.00.04] many improvements on the previous versions, user addon support for example, also take a look at the FORUM. We now use VB 6. SP6 of the runtimepackage, some systems might need a reboot if necessary. You can also download the runtimepackage directly from microsoft for example also. The runtime package is also suggested if you use the online installer of a previous version. You can use the web based installer which is able to laod the differences automatically for an upgrade. [0.99.70] New are the user addons for ships, habors and goods, as have several providers (see forum) for new ships we now support the handling of user addons. [0.99.62] New parts with german translations. Other will follow. buy a pocGold or pocPlatinum license for enabling unlimited playing time and support the development of POC XXL and POC Sim3d II. This really helps us to continue the development. 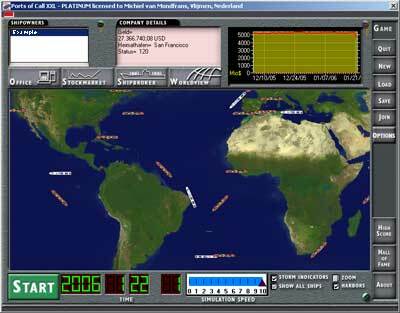 Now we have a scrollable world area for all ships, and weather conditions, up to 8 users local and additional network users, you can select which ships are displayed (all or individual). The main screen also shows some statistic information on the top, Network users can join anytime from a local network, we also plan to use internet in the future, currently intranet can be used, at least soon for the highscore. Tired of 2D ship simulation? Use Sim3D II as your simulation engine of choice.